Officials in southern Finland's town of Porvoo have been mapping possible contacts made by an adult believed to have contracted measles. On Tuesday, the National Institute of Health and Welfare, THL, announced that an infected person may have exposed other passengers to the disease during a cruise between Helsinki and Stockholm. Jeff Westerlund, a physician specialising in infectious diseases at the Porvoo health centre, said that local officials had largely been able to map the individual’s movements. "On a general level, I can say it is mostly around the workplace. About 100 people in the Porvoo area may have been exposed," Westerlund added. Officials said that they had managed to contact some of the people potentially exposed to the disease on Wednesday, and were continuing their outreach to identify others who may have been in contact with the carrier. According to Westerlund, authorities are mainly concerned about whether or not people exposed to measles belong to any risk groups. "This applies to pregnant women who are not vaccinated or who have incomplete vaccinations, small children who have not yet been vaccinated or people with diseases or medications that might lower their resistance," Westerlund noted. The physician commented that some Porvoo residents had contacted the local health centre to express concern over the reported infection. "They included, for example, pregnant women who had not been in direct contact with the infected person or people wondering what to do if they are not entirely sure that their vaccinations are up to date." Westerlund noted however that the vaccination coverage rate in the Helsinki and Uusimaa health district is on average 95 percent. He added that the national coverage rate has increased slightly and now stands at 96.1 percent for children born in 2016. In Porvoo, the rate is currently 95.7 for the same age group, a statistic that helps ensure herd immunity. He pointed out however that this does not provide iron-clad protection from measles. 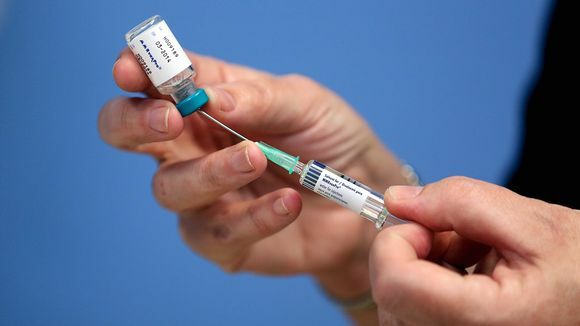 "Measles has become more common, for example in central Europe and the UK, and unvaccinated people travelling to these places can bring the infection to Finland. If we are unlucky, any unvaccinated person can then be infected here at home," Westerlund cautioned.